Enter your email to subscribe, and join the other 3 people who will get an email when there's a new post. No spam ever, I promise! I’ve been out to the wreck of the S.S. Speke at Phillip Island before, but had always wanted to go back again during different weather. So yesterday during our 11 hour trip away from home, I did just that. I had almost decided against it, because I didn’t have my sturdy shoes on, plus you have to climb up a steep hill, battle the heavy winds across the top of the cliff (a few meters from an electric fence), then descend an even steeper hill (where I almost sprained my ankle last time). But as we did a U-turn at the entrance, I thought back to Friday. We had our monthly Google+ hangout for The Arcanum. +Ron Clifford joined in and told some great stories of not wanting to go out taking photos because it was horrible and wet or too far or whatever, but in the end going out and doing it, and catching some amazing shots. So I said “You know what? Bugger it.”, pulled back in and walked up and over to the wreck. 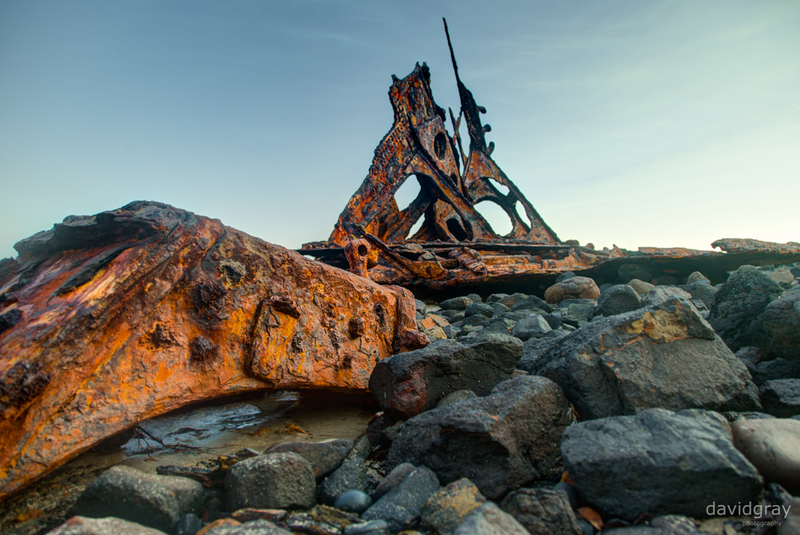 I had to toss my tripod down the hill because it was getting in my way (and I had no straps to attach it to my camera bag), but I managed to get down the wreck and take some great shots, about half an hour before the tide started rolling in. If you ever feel like something isn’t worth it, do it anyway. You’ll be surprised at the results. Enter your email to subscribe, and join everyone else, who will get an email when theres a new post. No spam ever, I promise!